philly. i really like you. i'm sorry to ask this but: if it's not sponsored, why did they lend you the car? was it out of the goodness of their hearts? great deal! it sounds like it worked out wonderfully. Glad that you guys made the best of it...Whoopie pies and a totally sweet ride to boot. nice! I always feel like everyone else takes amazing cityscape and street scene pictures and mine always look just silly. So bravo! Yours look like magic. Roadtrips are the best. Right up there with little ole' you. um less just be friends already. your cute boy makes me oober baby hungry... and i cant get enough of all these pictures. philly is def on my bucket list, especially because my good friend just got back from an LDS mission from there. you and your family are darling. so darling! I followed your trip on Instagram --looks like you had a great time. Why is it that toddlers, mine included, refuse to sleep in hotel rooms? Oh gosh sounds like an interesting weekend! 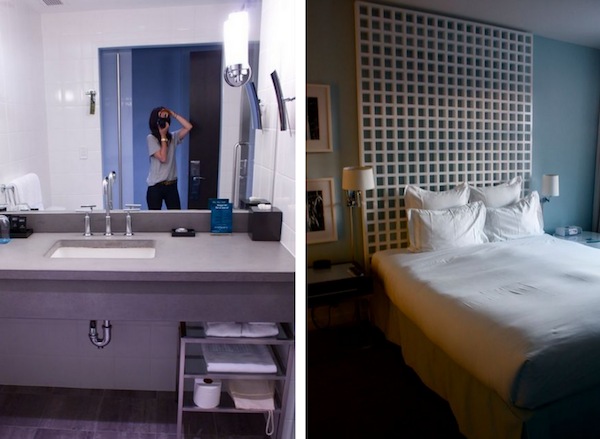 so sorry about the hotel disaster - funnily enough I had the EXACT same experience with a sketch hotel in Pisa this weekend (sounds fun and exotic...it wasn't. sketch hotels in different countries are just sketch hotels in different countries with the added bonus that the sketch receptionist doesn't speak english) but I'm glad we both survived! And preach about the reliable car! I can't even talk enough about how awesome Mazdas are - my old boyfriend had one and I loooooved driving it. Maybe too much. I'm so happy the weekend ended up working out! what's the story behind your cop car ride? i didn't know the police offered rides? okay, my husband is about to stop letting me read your blog (kidding, but oh so jokingly serious still) due to the child-wanting, shopping moods it induces (although he doesn't mind the child-wanting moods THAT much :). so there's that, but i really stopped to say "oooh! 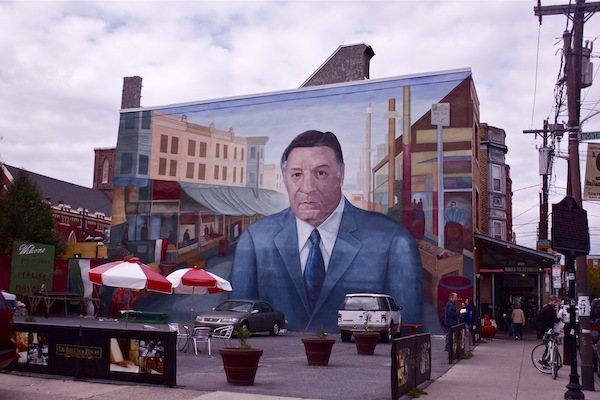 the italian market in philly! it's magical isn't it?" We did a weekend road trip to Philly this weekend too. We didn't manage to get to everything you did, but we did CoCo Key (10 miles outside of Philly in NJ), the Philadelphia Zoo (gorgeous! ), and the Liberty Bell (my first time in 42 years to have ever seen it - bucket list!). And now we need to go back for cheese steak! building? He's quite intimidating, really. Brilliant post! Toddlers never sleep when you really really really want them to. They are evil geniuses. I love the second picture, it looks like a movie set and any minute, 2 cowboys are going to show up for a gun show. 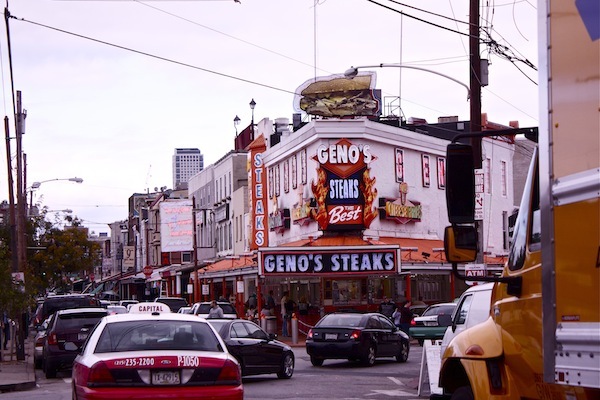 I've been wanting to make a trip to philly for a philly cheese steak, was it worth it? That car sounds like a dream! With a pretty price tag! I know you aren't paid for advertising it but I'm pretty much sold! I've totally stayed in that type of hotel before. Not only were all of the lights broken...there was a huge sign on the front door saying CAUTION: Microwave in Use, Enter at Own Risk. Whaaa?? And don't even get me started on the hair in the bathroom. Harrisonburg, VA: get out of die by microwave. Sounds like a nightmare of a trip! Just found your blog! LOVE! 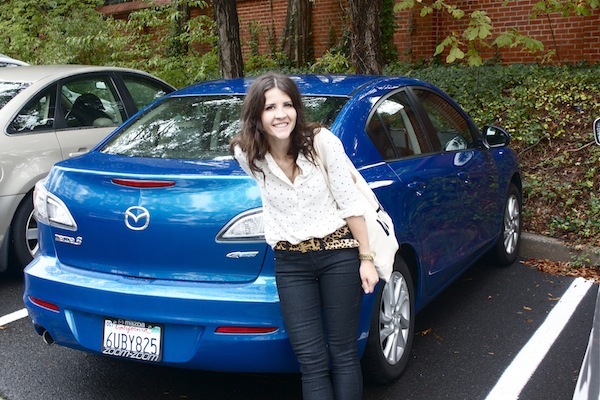 i have a mazda 3, and it's electric blue..so i have to agree, they are the best! p.s. 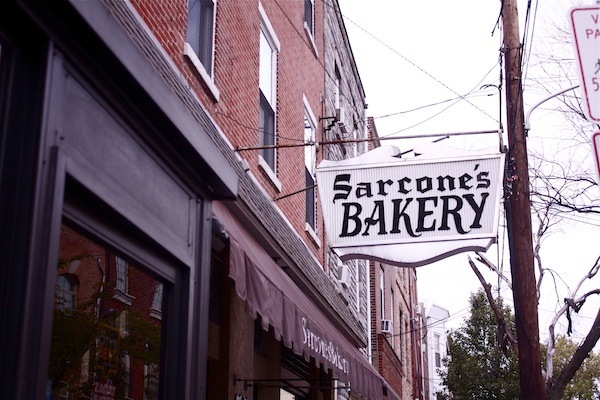 i hope you got a sandwich at sarcone's...the best!! I just love how real and honest you are. You are a doll. Thanks for making me laugh! i've had a trip like that. started with wasps. and ended with sister's boyfriend having surgery to fix his broken femur. seriously. when it rains it pours! I so appreciate your honesty. I look at the pictures and think what a perfect trip and hatefully feel a pang of envy even though I have a perfectly wonderful and blessed life. 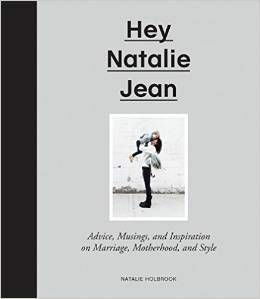 Then I read your post and oh yeah, this is life--not just me, but these things happen even to adorable Natalie. The part about doing nothing but sitting and eating licorice sounds like heaven -- too bad you had to go throu all that other crap to get there :(. i had forgotten all about the joys of liquorice, i think i need some now. Not a cheesy post at all! I think we've all been there. One time on a road trip with my husband, before we were married, I accidentally hit him with the car in a Meijer grocery store parking lot. He broke the door off the hinges, but was otherwise totally fine and still married me like four years later! Yay, crazy road trips! eek. toddlers and hotel rooms. the horrifying memories that come to mind (of course associated with wonderful, zombie-filled days following). why can't they just understand how fun vacays are? silly kids. i love the unplanned! even though you could have maybe avoided some of that with a planned out trip, would you have had as much to write about????? that was entertaining :) and i'm glad you found the debit card. cheers to your unpredictability. I almost bought a car just like that in grey! But I was worried it wouldn't do well on ice. The ice terrifies me. One tank of gas though. HAPPY FUN SIZE SNICKERS DAY!